Niacin users' main complaint has been flushing, so drug companies have been testing extended-release and combining other medicines with it to minimize that problem. Introduced in the 1950s, the drug hadn't been rigorously tested until recent years when makers of prescription versions were seeking market approval. The two studies were testing prescription versions of Niacin, and the bottom line - that it didn't help prevent heart problems any more than statins alone do - has already been announced. 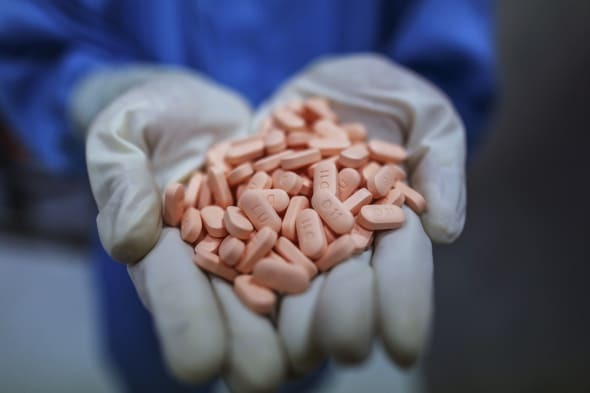 Some of the side effect information, including a troubling rise in deaths among Niacin users in one study, also was known but many doctors have been waiting for full details and verification of the results before drawing firm conclusions about the drug's safety and effectiveness. Those details are in this week's New England Journal of Medicine. The larger study suggests that "for every 200 people that we treat with Niacin, there is one excess death," plus higher rates of bleeding, infections and other problems - "a completely unacceptable level" of harm, said Dr. Donald Lloyd-Jones of Northwestern University in Chicago. "Niacin should not be used routinely in clinical practice at all." He co-led a panel for the American Heart Association and American College of Cardiology that recently issued new cholesterol treatment guidelines. The group did not recommend Niacin but said it could be considered for certain patients. If the panel had seen the new results, it "almost certainly" would have recommended against niacin's routine use, Lloyd-Jones said. The larger of the two studies tested Tredaptive - a Merck & Co. combo of niacin and an anti-flushing medicine - in nearly 26,000 people already taking a statin. Full results confirm there was a 9 percent increase in the risk of death for those taking the drug - a result of borderline statistical significance, meaning the difference could have occurred by chance alone, but still "of great concern," Lloyd-Jones wrote in a commentary in the medical journal. The drug also brought higher rates of gastrointestinal and muscle problems, infections and bleeding. More diabetics on the drug lost control of their blood sugar, and there were more new cases of diabetes among niacin users. The initial results in December 2012 led Merck to stop pursuing approval of Tredaptive in the U.S. and to tell doctors in dozens of countries where it was sold to stop prescribing it to new patients. Prompted by that study, leaders of an earlier one that tested a different niacin drug, Niaspan, re-examined side effects among their 3,414 participants and detailed them in a letter in the medical journal. Besides more gastrointestinal, blood-sugar and other complications, the new report details a higher rate of infections and a trend toward higher rates of serious bleeding. The consistency of the results on studies testing multiple types of niacin "leaves little doubt that this drug provides little if any benefits and imposes serious side effects," said Yale University cardiologist Dr. Harlan Krumholz. "It's an astonishing reversal of fortune" for niacin, one of the very earliest cholesterol treatments, he said. "This is a billion-dollar drug and it never really had the evidence to warrant that sort of blockbuster status." The studies were on prescription niacin; risks and benefits of over-the-counter forms are unclear. Lloyd-Jones said niacin still may be appropriate for some people with very high heart risks who cannot take statins, and for people with very high triglycerides that can't be controlled through other means. Krumholz said patients should talk with doctors about other treatment options besides niacin. "This drug can hurt you," he said.